Cinema: Solange Yijika is an Actress with a Superlative Screen Bravura. Where she is now you don’t wonna know but who she is, what she has done and she is still doing is ringing a bell. Check it out, Solange Yijika, a Cameroon female screen deity who has featured in many award winning films in Cameroon is yet to hear of a challenger with style like hers. On set, you wouldn’t count. She has featured in many amazing films in Cameroon starring foreign stars and mostly playing the lead something majority of Cameroon actress would not vaunt of in a role. Rose On the Grave by Enah Johnscott and 19 HOURS, COBWEB couples with a TV series NEXUS, directed by Musing Derick, are the few blockbuster the superlative screen goddess has been playing behind the scene with. With more movies on her name still to be made known by the production companies, she still remains the character within characters. 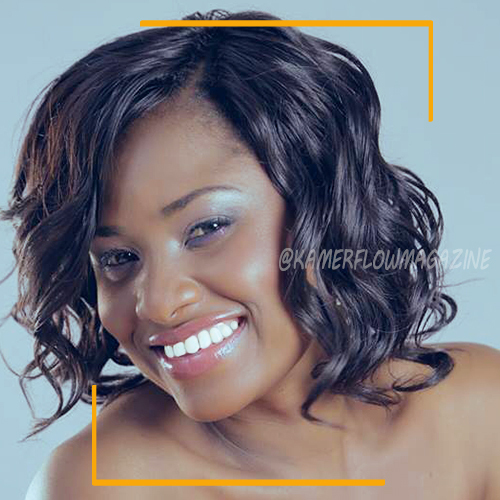 vote for kamerflow magazine as Best Cameroon Entertainment Media by clicking on the pic.